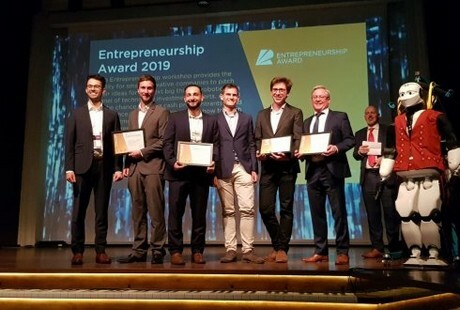 At the European Robotics Forum 2019, Jos Balendonck and his team from Wageningen University & Research, together with a European consortium of partners and the spin-off Saia Agrobotics, became a finalist of the Tech Transfer Award with the Sweeper sweet pepper harvesting robot. A demo of the Sweeper will be presented in June at the GreenTech Amsterdam. The Sweeper robot is the first sweet pepper harvesting robot in the world to be demonstrated in a commercial greenhouse. Sweeper has been concentrating on harvesting peppers for the past three years, with 1.3 million tonnes being produced annually in Europe. Registration is now open for the GreenTech trade-show. Check out GreenTech’s official date for entry fees and full listing of opportunities.